OUR PRICE: $12.05 - Join Rewards Get $1 Dance Dollars On This Item! 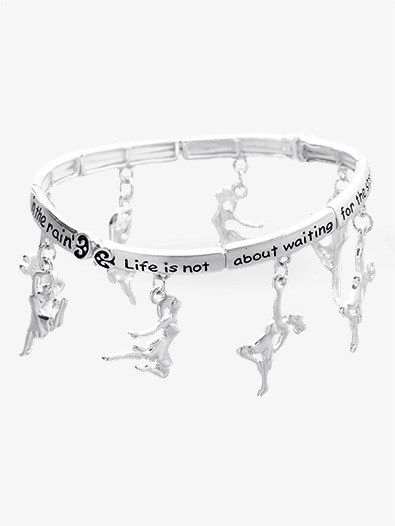 Tiny dancers dangle from this inspirational charm bracelet. Bracelet features the phrase "Life is not about waiting for the storm to pass, it's about learning to dance in the rain."